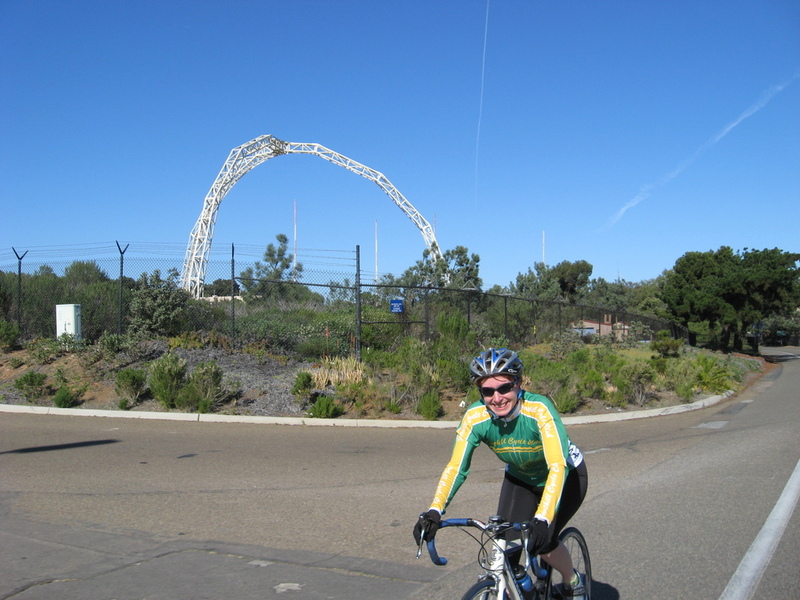 On Sunday morning, Susan and I went for a bike ride in San Diego. 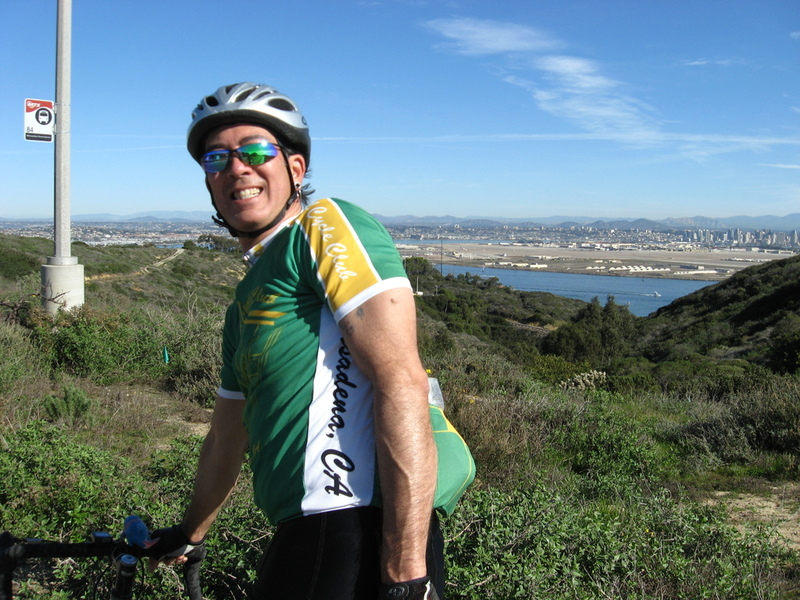 My favorite ride there was the one to Point Loma, so we did it again. Strangely enough, the weather today was better than when we did it last June, and also better than when I did it in April, 2007. 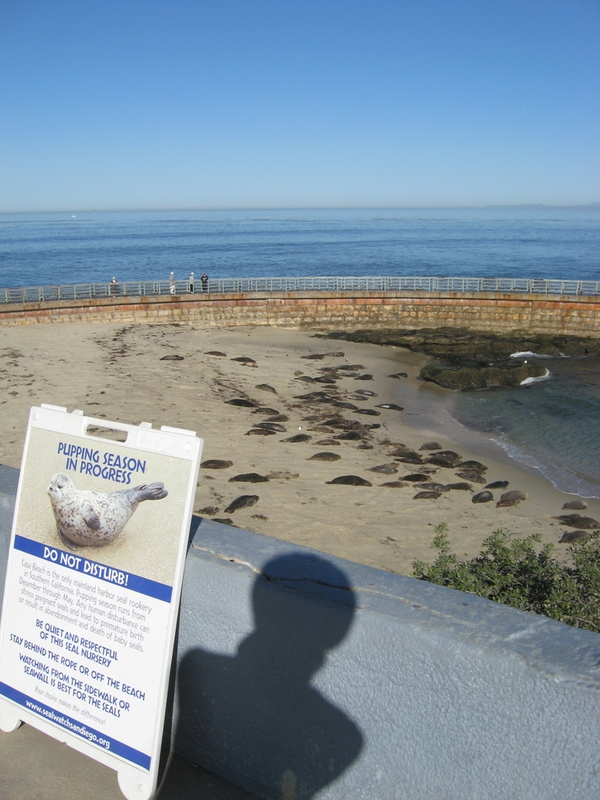 We took the coast route through La Jolla, and suddenly my phone rang. 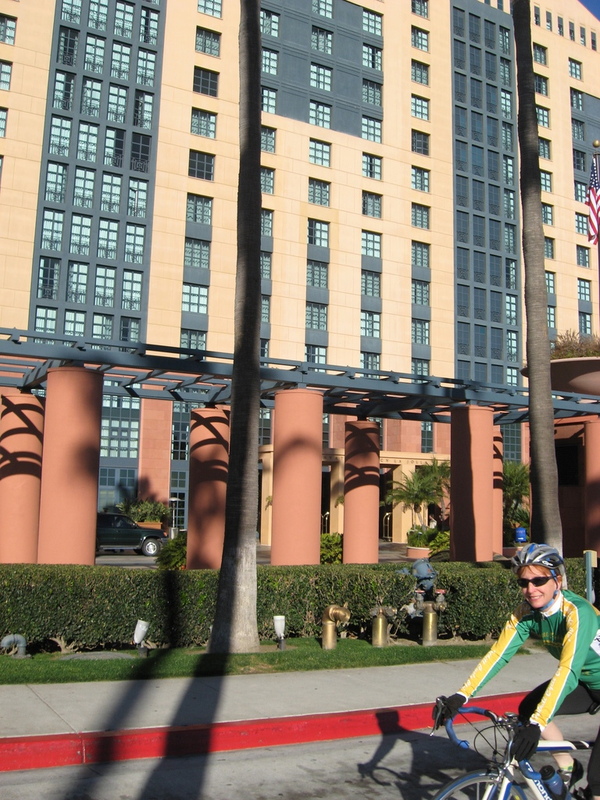 It was Vikki, who was there for work, and had seen us ride by from the balcony of her hotel. So we doubled back a block to visit with her. 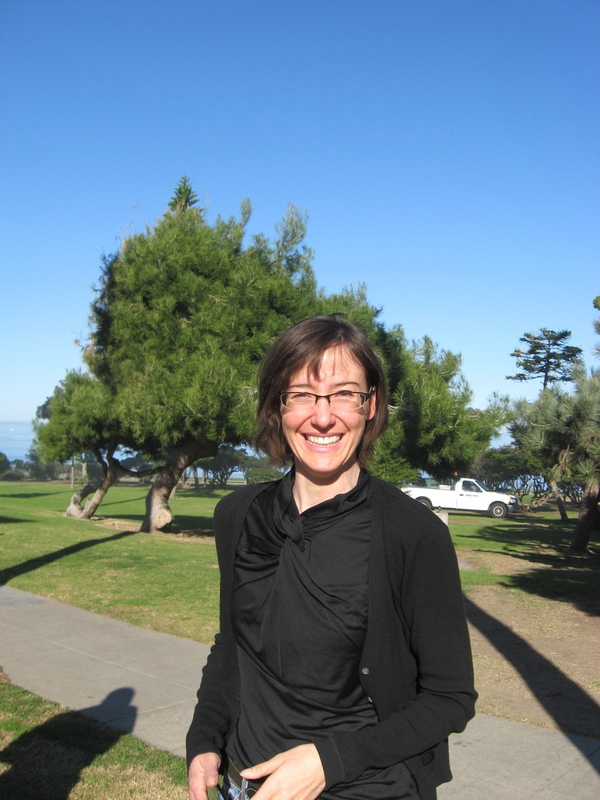 She and her friend had ridden down from Los Angeles yesterday. 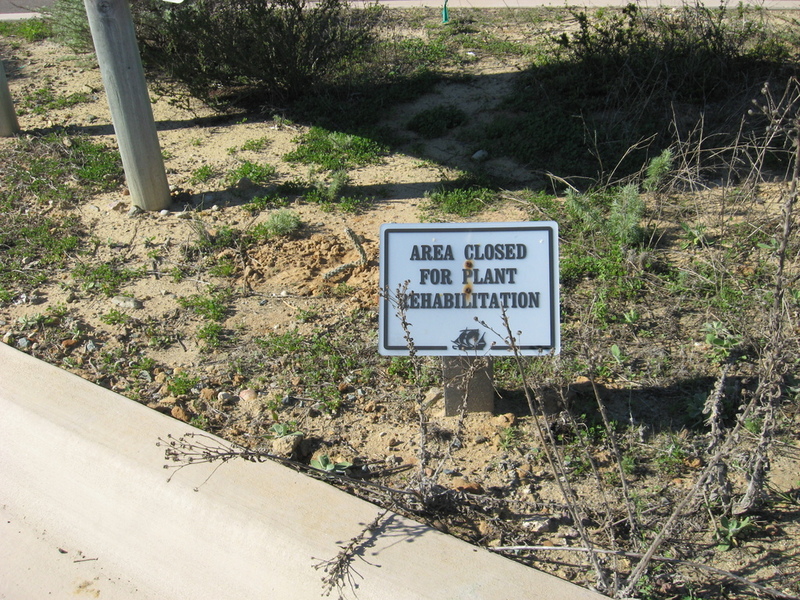 There was a sign up at the beach that the seals have taken over, warning us that it was “pupping season” and that we should not disturb the seals. While we were there, I bought a seal T-shirt to take home for Lucinda. 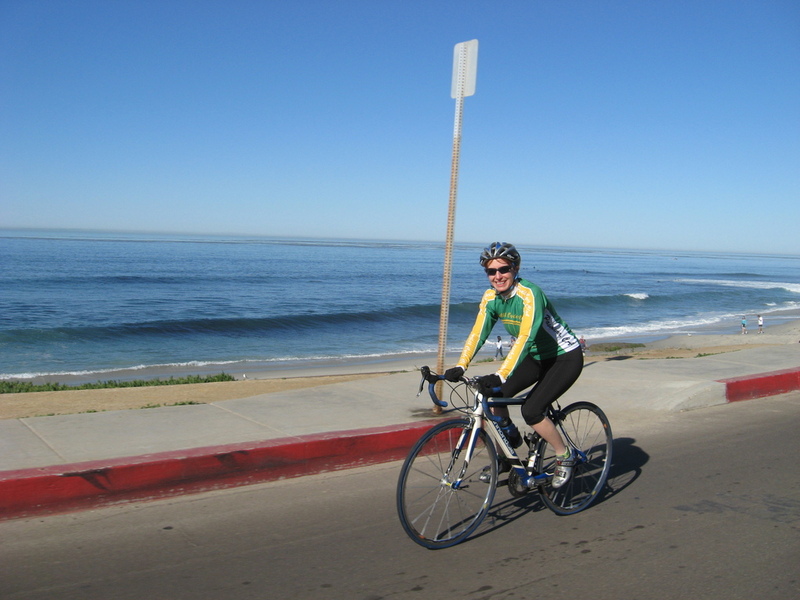 Continuing on, we went through Pacific Beach and Ocean Beach, and then up the hill to the road out to Point Loma. We didn’t pay the $3 to go in this time, since we were a bit short on time and didn’t feel like riding down and back up the big hill to the tide pools. So we turned around and headed back. 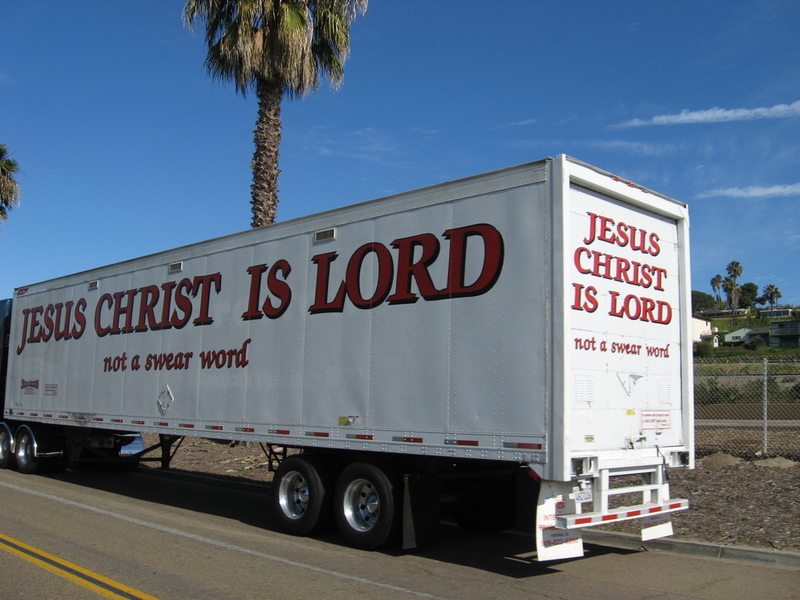 On the road around Mission Bay, we saw the truck with “Jesus Christ is Lord” on it. I wonder what they were hauling in there? When we were almost back to the hotel, Susan got a flat. So I took the picture for the Flat Tire Gallery. Then we rode the last mile back to the hotel. It was a very nice ride.